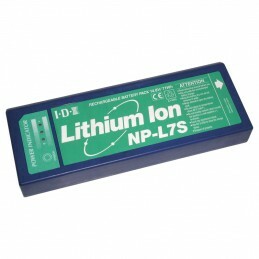 The IDX NP-L7S is the economical choice for an NP-style battery. It is part of the lightest and most powerful NP battery range in the industry, with 4.6Ah and 68Wh of Lithium Ion power weighing in at just 1.01 lbs. The internal circuit board and battery cells are protected by a tough but stylishly molded exterior, making the NP-L7S the complete battery for a variety of broadcast, audio and electronic equipment. The NP-L7S is identical to the NP-L7 in terms of performance; the "S" model has fewer LED displays and no Digi-View capability. 3 Power Indicator LEDs are located on the side for a quick and easy check to see if the battery is empty, full or requires charge. Battery circuit protection ensures the NP-L7S is protected against common causes of battery misuse, guarding against over charge, over discharge, over current and exposure to high temperatures. 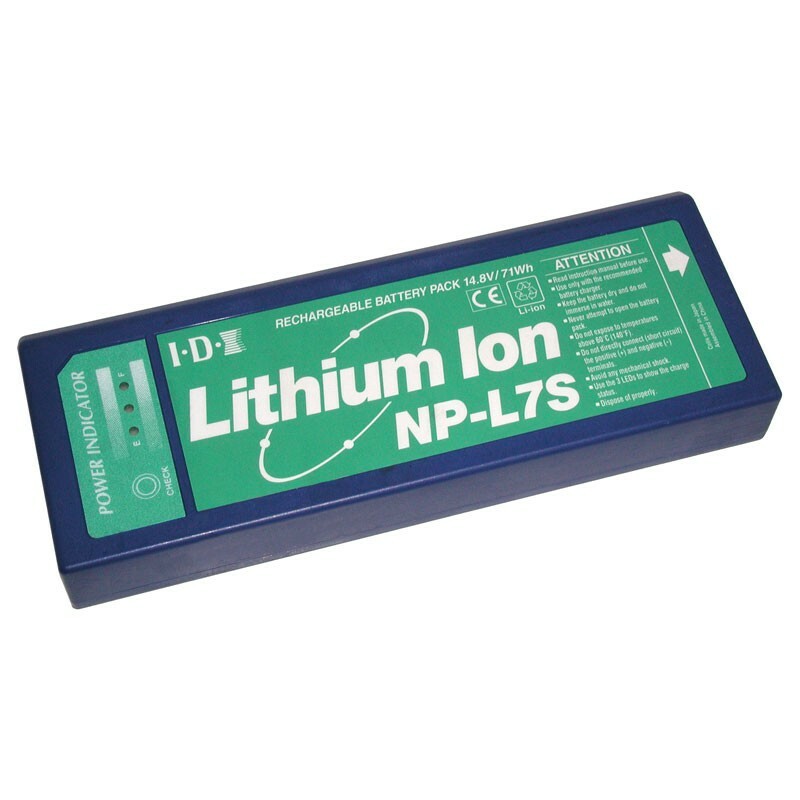 The highest grade Lithium Ion cells are used to ensure the NP-L7S is one of the most reliable NP type batteries on the market, as well as being the safest and most environmentally friendly in its battery classification. Weighing just over 1 lbs., the NP-L7S is compact and durable, ideal for regular use and transportation to and from location. The battery can be fully recharged quickly and safely using a two or four channel NP charger from IDX as well as V-Mount ENDURA chargers using a charge connector adaptor.